Last week, I've posted about converting a Lookup column to a Managed Metadata column while doing your SharePoint migration from 2007 to 2010. In the course of this last post, I quickly talked about the property mapper, but didn't really explain it in detail. This week, I want to make sure you are all familiarized with the property mapper. I must admit that it's a simple weekly tip, but it worths talking about it. I'll have more complex tips in upcoming weeks since Sharegate 2.7 will be released in a few days and is simply amazing. Let's take a typical example that most of our customers are experiencing when they are migrating to SharePoint 2010. Most of the time, they make important changes in their information architecture such as changing the column names on their lists and libraries. This makes the migration a little more difficult since the column names no longer match between the source and destination. Sometimes, it's even worse: the column types are no longer the same. This scenario is well supported by Sharegate. Let me show you how. In this article I'll be using the Copy SharePoint items tool to migrate contacts from SharePoint 2007 to SharePoint 2010. The contact list in SharePoint 2007 was created in French and the contact list in SharePoint 2010 was created in English. Both lists serve the same purpose but they have different column names (French and English). First, I start the Copy SharePoint items tool. Using the wizard, I first choose the contact list in SharePoint 2007 and then I choose the contact list in SharePoint 2010. I'm now ready to copy my contacts. Before I start a copy operation, I click on 'Change property mappings' in the Ribbon menu. This window shows the columns available in the source contact list (left side). It also shows the assigned columns for every column available at the destination (right side). I just need to assign the source columns to every destination columns available by using the drag and drop feature. It's that simple. One last thing. It's important to understand that Sharegate isn't limited by field types. You can map any field type with any other field type. Once all the source fields are mapped to my destination fields, I just save it. The mappings are persisted and they will stay even if I restart Sharegate. 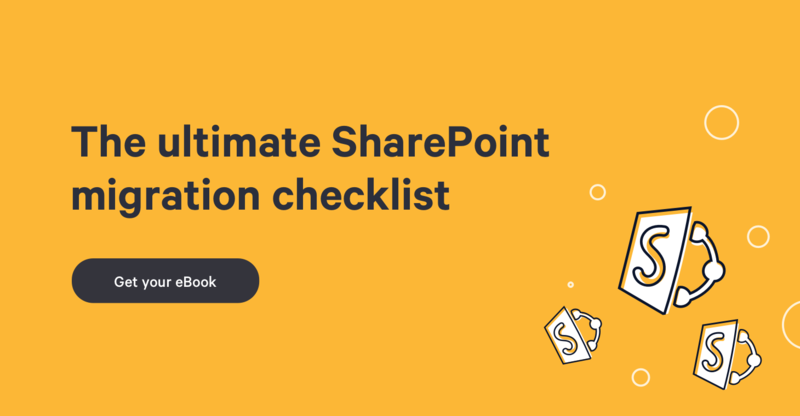 - You want to preserve the list item IDs of the source list: since the IDs are managed by SharePoint and can't be preserved, you can map the ID column with another column that you have control over. Remapping properties is inevitable when moving content around SharePoint. In a certain way, it allows you to improve your information architecture before migrating your content and re-integrate your old content easily. You can also remap different field types. It means that you can map a column type with any other type and Sharegate will understand exactly what to do. For example, you could map a Lookup column with a Managed Metadata column to start using the SharePoint 2010 Taxonomy. The property mapper in Sharegate is unique in the way we've implemented it: it's just really simple.